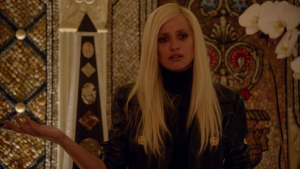 'The Assassination of Gianni Versace: American Crime Story' Episode 1 Review - Horror News Network - The Horror News You Need! The Assassination of Gianni Versace: American Crime Story continues the series’ track record of being Ryan Murphy’s best show on television. Two years ago, The People v. O.J. Simpson was a surprise hit for a variety of reasons. It featured excellent actors in amazing roles and the season maintained its thrilling momentum, even while exploring the minute details of the Simpson case. The show was engaging and thoughtfully delivered throughout. My thesis at the time was that the show’s secret weapon was that it was based on a book by Jeffrey Toobin, and that’s what forced Murphy and company to keep the production on its tracks from start to finish. A common complaint about American Horror Story is that every season tends to go off the rails after a few episodes. Because American Crime Story has been based on thoroughly-researched texts about real-life events, there aren’t as many opportunities to embellish or stray into territory which might lose an audience. The Assassination of Gianni Versace benefits by having a source text in the same way that The People v. O.J. Simpson did. This time around, the source text is Vulgar Favors: Andrew Cunanan, Gianni Versace, and the Largest Failed Manhunt in U.S. History by Maureen Orth. The book largely follows serial killer Andrew Cunanan, whom Orth had been investigating while writing for Vanity Fair before Cunanan took the life of his most famous victim. Cunanan and Simpson make for two very different real-life suspects for the series, but Assassination builds on many of The People v. O.J.’s strongest storytelling elements. In the first episode, the camera rarely sits in one place for long. 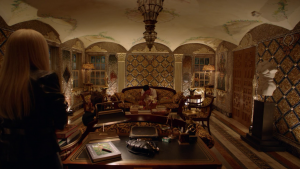 Viewers are treated to gorgeous sweeping shots of Versase (played perfectly by Edgar Ramirez), his servants, and his incredible Miami mansion. Care is taken to avoid a focus on Verace’s face in all scenes taking place in present day. We view him from behind or afar, which further elevates his celebrity status and untouchable allure. It is only in flashbacks or when the camera dwells on the horrific aftermath of his senseless murder that the camera rests on his face. The cinematography is handled elegantly and with precision throughout the entire episode, and it makes the whole production feel more cinematic than what’s usually available on cable television. The performers of The Assassination of Gianni Versace are all acting at the top of their game. Just like how The People v. O.J. showed us actors and actresses in a new and interesting light, Assassination captures the spirit of Versace’s loving sister and business partner, Donatella, through a strong performance by Penelope Cruz. Musician Ricky Martin acted in Argentinian television programs at the start of his career, and his appearance in Assassination is enough to make you think he never left the craft. 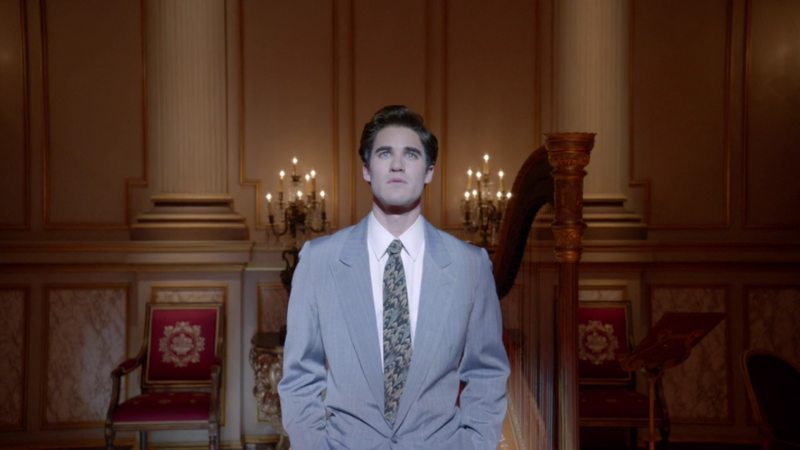 Darren Criss is versatile in his intense portrayal of serial killer Andrew Cunanan. The first episode shifts between a couple of different moments in time, and Criss’ Cunanan is sometimes enigmatic, sometimes detestable, and always engaging. In one moment he shares with Ramirez’ Versace, I could have sworn he was channeling Christian Bale’s portrayal of Patrick Bateman in American Psycho. And that’s one of the major things that sets Assassination apart from O.J. : it’s clear that Assassination will be spending much more time inside of the suspect’s head. In O.J. there were so many fascinating characters and so many unusual things going on that we often only viewed Cuba Gooding Jr.’s O.J. from other characters’ perspectives. Trust me: Assassination is not lacking in fascinating characters, but it does seem to be taking much more time to dwell on the actions of Cunanan than O.J. ever did with, well, O.J.. Beyond the simply gorgeous set pieces and strong performances, The Assassination of Gianni Versace: American Crime Story seems eager to explore the various social issues and complexities of this tragic historical event. The first episode doesn’t feel rushed, and it seems to be suggesting that the series plans to take its time with the way in which its events will unfold. We still know very little about all of the key players in this story, and it appears clear that the details will be unveiled through a series of flashbacks alongside present-day events. One thing’s for sure: The Assassination of Gianni Versase: American Crime Story is off to a tremendous start, and I look forward to tuning in for future installments! Should it continue the first season’s trend of faithfully sticking to the source material with restraint and artistry, true crime aficionados and Ryan Murphy fans will be in for a treat! Stay tuned to Horror News Network for more reviews of The Assassination of Gianni Versace: American Crime Story as new episodes hit the airwaves!